Six weeks after they exited the Ulster championship Tyrone will attempt to get their season back on track when they meet Limerick in the first round of the All Ireland qualifiers. The novel pairing, sees Mickey Harte’s side enter through the backdoor for the fifth consecutive season, against a side they have never met before in the championship. Sunday’s encounter in Healy Park, Omagh, offers Harte’s side the chance to build some momentum after what has been a disappointing season to date. While the Under 21 team impressed in winning the All Ireland, the senior side suffered relegation from the top tier of the National League. Further disappointment followed, Tyrone suffering defeat in the Ulster preliminary round to a powerful Donegal side at Ballybofey last month. Sunday’s game represents a first step in what is hoped will ultimately result in a Croke Park appearance come August. The Red Hands’ roster has changed noticeably since the beginning of the year, Ryan McKenna latest to depart the panel, joining Kyle Coney and Shay McGuigan amongst other who have left. U21 starlets Lee Brennan and Conor Meyler have linked up with the squad, joining Mark Bradley, Cathal McShane and Ruairi Brennan on the panel. Tyrone’s steely display against Donegal earned them plaudits, even if they were on the wrong side of a 1-13 to 1-10 scoreline. 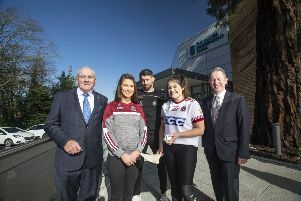 Their league performances against Mayo, Kerry and Dublin will also give fans the belief that their side can yet have a say in the All Ireland series. Harte will have a number of selection dilemmas ahead of Sunday’s game with Michael O’Neill’s fine performance in Ballybofey possibly pusing him ahead of Niall Morgan in the pecking order, while he might feel like blooding some of the young talent at his disposal. John Brudair’s Limerick side fell to Clare 0-15 to 0-13 in the Munster SFC after a very poor first half display. They reached the third round of last year’s back door series, losing to Sligo after wins over London and Antrim. U21 captain Gearoid Hegarty is a key player, but is an injury doubt. Forward Ian Ryan will be their most notable player. The talisman marksman returned from long-term injury to score-shy Limerick midway through the league. They won much admiration in 2010 when they came within a point of Kerry in Munster final. Ryan and Stephen Lucey are veterans of that side who still remain. John Galvin, arguably the county’s greatest ever footballer, called time on his inter county career before the start of the season. Sunday’s game in Healy Park, throws in at 4pm.